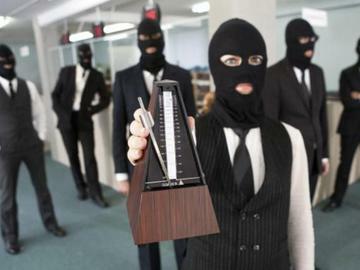 The “musical terrorists” in The Sound of Noise have one goal: to rescue their town from a plague of soulless music. The only thing standing in their way is a police detective with a very personal vendetta against all music, revolutionary or otherwise. As the rebels and the lawman careen towards a showdown, the loyalty, principles, and convictions of both are pushed to the breaking, like an over-tightened violin string. Rooftop is excited to present the New York Premiere of this maniacally clever film from Sweden, with a special sneak attack performance by the film’s guerrilla musicians. No refunds ~ Seating is first come, first served. Physical seats are limited. This means you may not get a chair. You are welcome to bring a blanket and sit picnic-style.